Since its' inception in 1968, the A.E. 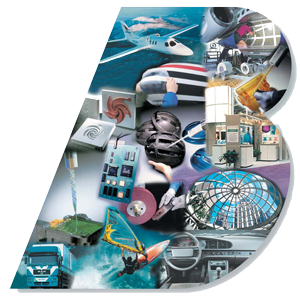 Blake name has been synonymous with quality and service in the aerospace, industrial and transportation industries. Our Montreal location is AS9120:2002 and ISO 9001:2008 certified. With over 40 years of valuable experience, we focus on understanding your business and finding solutions and products to enhance your bottom line. We partner with our first-rate supplier base to offer teams of expertise from consulting to laboratory testing to assist you in your choice of materials for even the most difficult applications. Our customer service departments consist of dedicated employees who excel in providing professional, efficient and reliable service, in order to make your life easier. © - 2012 - A.E. Blake Sales Ltd.